With nearly fifteen years of experience in the healthcare industry, Miramont Family Medicine is a cut above the rest. From our excellent staff (each receptionist, nurse, and doctor genuinely cares) to our convenient locations in Loveland, Wellington, Parker, and Fort Collins, when you visit us, you get the absolute best. At Miramont Family Medicine, we know that you have a number of different options when it comes to finding a doctor near you, but in today’s blog, we want to let you know five of the best things about our healthcare facilities that will leave you fully satisfied with your visit. Want to schedule an appointment with Miramont Family Medicine? Click here to call us now! No one wants to believe that their doctor is only in it for the money, but unfortunately, that can sometimes be the case. At Miramont Family Medicine, whether you see a nurse or a doctor, you can rest assured that our staff wants nothing more than to be there for you when you need it the most. We’re not just in it for a paycheck; instead, we’re in it because it means providing good healthcare to good people. Have you ever visited the doctor’s office only to be “greeted” with a bad attitude? Fortunately for you, when you visit Miramont Family Medicine, you’ll be greeted with a smile. We’re here to help you and we want to ensure that you have the best experience possible. As we mentioned above, Miramont Family Medicine has been in business for 15 years. We like to think that in that amount of time that we’ve learned a little something about how to provide a great experience for each and every one of our patients. If there’s one quality that every doctor at Miramont Family Medicine has, it’s that they genuinely care. 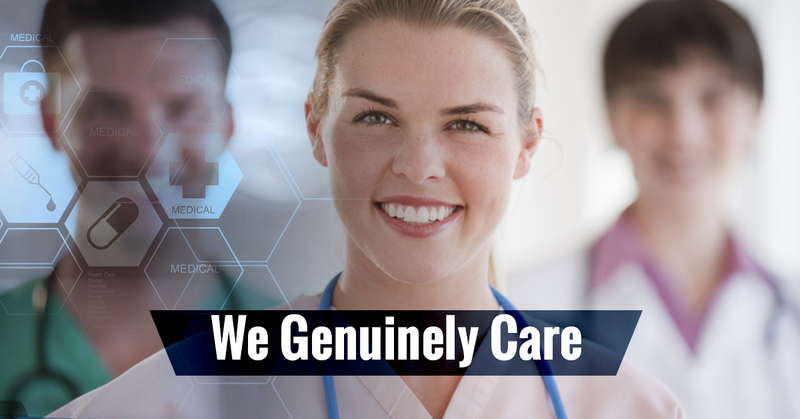 Our staff is comprised of people who are in it because we feel that it’s our duty to take the best care possible of each and every person that walks through our doors. When we say we care, we want you to be able to experience it from the moment you set foot in our building until the moment you leave. Anything less than that simply isn’t good enough. From x-rays to vaccinations to physicals to minor surgery to allergy testing, we can handle it all! No matter if you’re visiting for a routine checkup or for something more serious, our team is well-equipped. Each doctor on staff is committed to providing the most comprehensive care in Colorado. Come on in and see for yourself! We pride ourselves on the fact that we always strive to improve on what we’re doing. From identifying what we’re doing well and doing it better to finding the areas where we’re lacking and searching for ways to change them for the better, you can count on us to provide you with the high-quality healthcare you expect. With locations in Wellington, Parker, Fort Collins, and Loveland, a good doctor is right around the corner. At Miramont Family Medicine, our goal is to provide the best healthcare experience in all of Colorado. Whatever your reason for visiting, we’re sure that your experience will simply be unmatched. Whether you’re visiting us for the first time or you’re a returning patient, your opinion matters to us. We’d love to know exactly what you thought about your visit. Please feel free to be as detailed as you’d like. Let us know what went well and what can be improved; we’ll be sure to take it to heart. We look forward to hearing from you!